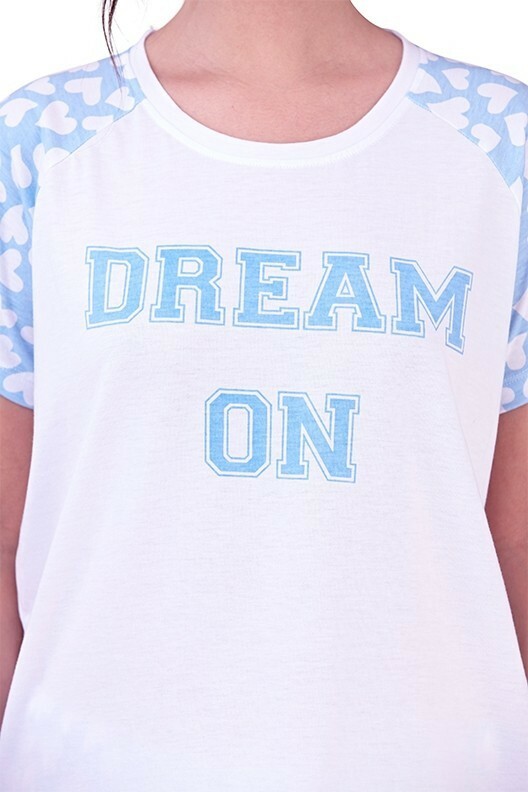 Ladies nightwear, dream on t-shirt and long PJs set. Super cute for all year round. 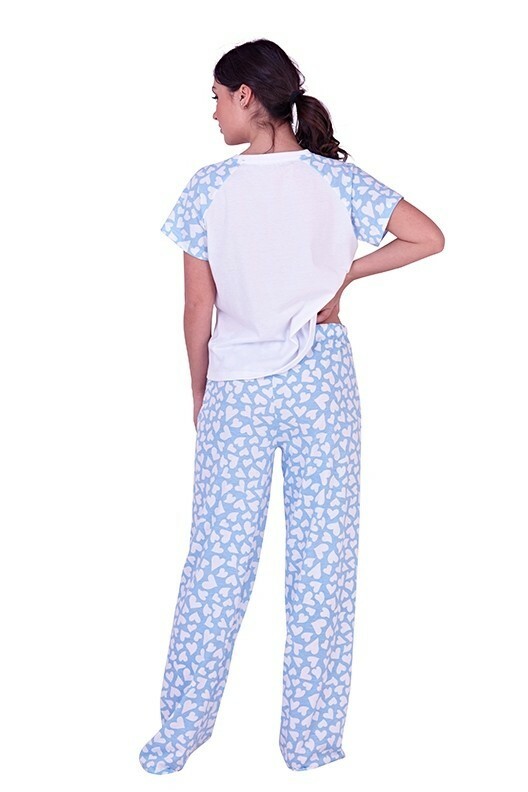 Model wears small - 5.9", size 6-8. Comes in packs of 12.